Investing for Profit in the Russian Mafia States Stock Market, Goodbye Chinese Century? Wikileaks recently released U.S. Embassy cables that contained accusations of Russia being a defacto Mafia State that has ceased to be a democracy and is run by the secret services on behalf of an Oligarchy. Much of which comes as nothing of a surprise to either the Russian people, business men or foreign investors who know that whilst doing business with Russia can prove highly profitable, however investors and business people have to be nimble footed by being prepared to pull their funds out at short notice, which mean investors need to be invested in highly liquid funds that aim to track or better the general Russian stock indices such as the RTS stock market index rather than in illiquid individual stocks. The wikileaks US cables had already revealed that Russian President Dmitry Medvedev “plays Robin” to Prime Minister Vladimir Putin’s “Batman”. The embassy documents also called Medvedev “pale and hesitant” in comparison to the “alpha-dog” Putin. 4. (C//NF) Grinda stated that he considers Belarus, Chechnya and Russia to be virtual "mafia states" and said that Ukraine is going to be one. For each of those countries, he alleged, one cannot differentiate between the activities of the government and OC groups. 5. (C) Grinda suggested that there are two reasons to worry about the Russian mafia. First, it exercises "tremendous control" over certain strategic sectors of the global economy, such as aluminum. He made a passing remark that the USG has a strategic problem in that the Russian mafia is suspected of having a sizable investment in XXXXXXXXXXXX 6. (S//NF) The second reason is the unanswered question regarding the extent to which Russian PM Putin is implicated in the Russian mafia and whether he controls the mafia's actions. Grinda cited a "thesis" by Alexander Litvinenko, the former Russian intelligence official who worked on OC issues before he died in late 2006 in London from poisoning under mysterious circumstances, that the Russian intelligence and security services - Grinda cited the Federal Security Service (FSB), the Foreign Intelligence Service (SVR), and military intelligence (GRU) - control OC in Russia. Grinda stated that he believes this thesis is accurate. (COMMENT: See Ref B on a reported meeting between Litvinenko and the Spanish security services shortly before his death.) Grinda said that he believes the FSB is "absorbing" the Russian mafia but they can also "eliminate" them in two ways: by killing OC leaders who do not do what the security services want them to do or by putting them behind bars to eliminate them as a competitor for influence. The crime lords can also be put in jail for their own protection. 7. (S//NF) Grinda said that according to information he has received from intelligence services, witnesses and phone taps, certain political parties in Russia operate "hand in hand" with OC. For example, he argued that the Liberal Democratic Party (LDP) was created by the KGB and its successor, the SVR, and is home to many serious criminals. Grinda further alleged that there are proven ties between the Russian political parties, organized crime and arms trafficking. Without elaborating, he cited the strange case of the "Arctic Sea" ship in mid-2009 as "a clear example" of arms trafficking. 9. (C) Grinda traced the history of the Russian mafia in Spain to the mid-1990s, when several vory v zakone began to enter Spain. He said that since 2004 Spanish prosecutors have created a formal strategy to "behead" the Russian mafia in Spain. He explained that this has been a top-down strategy done through extensive investigations of criminal actions by these vory v zakone living in Spain. These individuals have no known jobs and unknown sources of income, yet they live in large mansions. Spanish prosecutors have concluded that money-laundering is likely involved and the challenge has been how to prove this. Grinda says that Spain's longtime experience in fighting drug traffickers' use of money laundering has proven valuable in this regard. 10. (C) Grinda says the money-laundering investigations have a two-fold objective: to prevent the targets from profiting from the original crime and to prevent the targets from gaining enough clout to enjoy economic influence, which Grinda suggested sooner or later always reaches political power. This is why Spain's Attorney General has grouped together the prosecutors' office for anti-corruption and organized crime. As part of this strategy to prevent mafiosos from enjoying economic influence, Spain's strategy includes the seizure of businesses, companies, furniture and other assets. 12. (C) Grinda stated that OC begins to accumulate both economic and political power when it begins to bid for contract tenders on civil works and infrastructure projects. Britain got a taste of the Russian Mafia state in action in October 2006, when the Russian state perpetuated what amounted to a nuclear terrorist dirty bomb attack on London that spread the highly radioactive polonium-210 across central London so as to kill a former KGB agent turned critic of the regime, Alexander Litvinenko, unfortunately for the Russian regime, Litvinenko managed to cling on to life long enough to point the finger at Putin's Kremlin in a statement delivered in hospital two days before he died. "I would like to thank many people. My doctors, nurses and hospital staff who are doing all they can for me, the British police who are pursuing my case with vigour and professionalism and are watching over me and my family. I would like to thank the British government for taking me under their care. I am honoured to be a British citizen. I would like to thank the British public for their messages of support and for the interest they have shown in my plight. I thank my wife Marina, who has stood by me. My love for her and our son knows no bounds. But as I lie here I can distinctly hear the beating of wings of the angel of death. I may be able to give him the slip but I have to say my legs do not run as fast as I would like. I think, therefore, that this may be the time to say one or two things to the person responsible for my present condition. You may succeed in silencing me but that silence comes at a price. You have shown yourself to be as barbaric and ruthless as your most hostile critics have claimed. You have shown yourself to have no respect for life, liberty or any civilised value. You have shown yourself to be unworthy of your office, to be unworthy of the trust of civilised men and women. You may succeed in silencing one man but the howl of protest from around the world will reverberate, Mr Putin, in your ears for the rest of your life. May God forgive you for what you have done, not only to me but to beloved Russia and its people. " 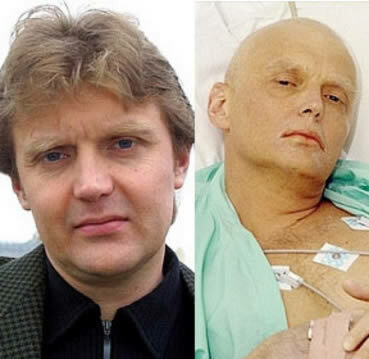 Litvinenko had written two books in the UK criticising the regime in Russian Regime - books, Blowing up Russia: Terror from Within and Lubyanka Criminal Group, where he accused Russian secret services of staging the Russian apartment bombings and other terrorism acts in an effort to bring Vladimir Putin to power. He also accused Putin of ordering the murder of Russian journalist Anna Politkovskaya. The BBC Panorama programme investigated allegations against FIFA officials, exposing new evidence of bribery and accuses FIFA executives of taking kickbacks for world cup bid votes. 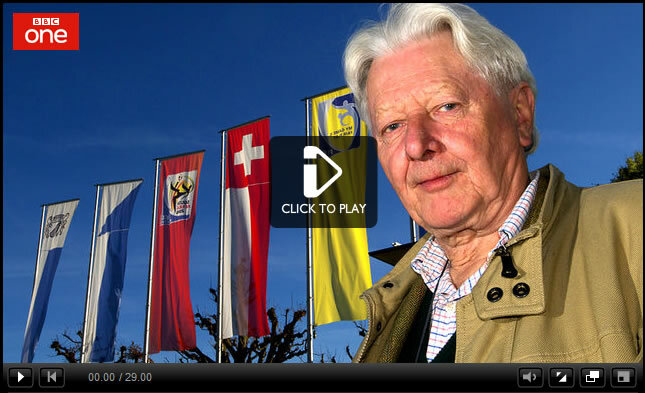 The programme also uncovers the secret agreements that guarantee FIFA a financial bonanza. In late October, the UK newspaper The Sunday Times published a video of two FIFA Executive Committee members, Amos Adamu and Reynald Temarii, offering the newspaper’s undercover journalists, posing as lobbyists for the USA bid, their votes in exchange for cash. Put the Russian mafia state with corrupt FIFA officials together and It does not take a genius to conclude as to why corrupt FIFA members awarded the world cup to a corrupt Russian mafia state. .
Russia has everything going for it in terms of resources and an educated worker pool, but unfortunately due to being a perpetual totalitarian mafia state, the country is literally dieing where it's population has shrunk by 10% over the past 20 years to 142 million and continues to target a reduction of a further 15 million over the next 20 years to just 127million. Therefore Russia's huge economic potential is being diminished by the impact if a falling population, all without the consequences of a demographic time bomb that Japan is experiencing as Russia is losing its brightest and best to the west as they seek freedom and safety over the risks of having to work within a defacto mafia state. On the bright side for investors is that Russia at $16,000 per capita is starting from a low base, therefore in per capita percentage terms Russia can continue to grow far more strongly than the west, but in relative terms Russia will continue to shrink in terms of the overall share of global GDP as countries such as China, India and even Brazil literally roar ahead, already there is speculation that Russia should be dropped from BRIC status with Indonesia taking its place. However all is not lost for Russia, for if it ever managed to get a grip on rampant corruption and diminish the role of the mafia that controls the government, which eventually means ejecting Czar Putin, his sidekick Medvedev and the Oligarchs, then Russia can achieve the same level of growth as China, for the citizens of China themselves also do not live in a democratic free state, it is just that the criminals in charge of China are marginally less corrupt and more competent than those in charge of Russia. Also a day of reckoning beckons for China, for as soon as China hits a growth plateau which it surely will, then there will be major political upheaval in China. Whilst the focus at the present time is on the Russian mafia state, however it has to be recognised that there exist to varying extent a number of mafia states around the world such as one of the European Unions biggest member states, Italy, where there is a great deal of overlap between where the state ends and the Mafia begins that acts as a noose around the Italian economy by preventing major regions in especially the south of Italy from developing and thus remaining poor regardless of how many billions the European Union plows into these areas which in significant part end up in the back pockets of Mafia families. As the world succumbs to the consequences of climate change over the coming decades, amidst all the losers there will be a dozen or so of climate change winners, one of which could be Russia as its climate improves which enables vast tracts of the Siberian landscape to be developed and the arctic ocean resources to be pillaged, then the potential for Russia is huge. So whilst reams and reams of text today is written by commentators looking in the rear view mirror at the so called Chinese Century, the climate change facts are that the Chinese century may come to an abrupt end long before the half way mark is reached. Yes, China is on a roll which looks set to continue for a decade or two, but then what ? Climate change suggests desertification. Russia has come a long way during the past 10 years which followed 10 years of chaos following the collapse of the Soviet Union. I can imagine 20 to 30 years from now, talk will started to switch towards calls of an emerging Russian Century, as the destination for worlds brightest and best going to populate the new Russian cities springing up, boosting the Russian economy exponentially. Off course from here to there lies a number of developments along a bumpy road towards the New Russia. If history is any guide than the Russian Century can be achieved within 30 years given China's rise from nothing to being the worlds factory. Yes, there are risks, especially as a Mafia run government can be unpredictable hence much market volatility, but the fundamentals are all there to support the rise of a New Russia, with the potential for putting the country into the global number one spot. The markets are manipulated, this is nothing new and something that has been apparent to me from very early in my trading career, in fact the day after the 1987 crash (19 Oct 2007 - How a Newbie Beat the Great Crash!). The only way your going to win investing is by being on the same side of the trends as the market manipulators, to do this one needs to tune out the noise and focus on the only thing that matters, the only thing that reveals what the market manipulators are upto and that is market price! Market manipulations manifest themselves in two ways 1. Is accmulating price trends and 2. is in distribution price extremes. Price trends are where the accumulation takes place, where most investors are nearly always blind to the move because they LISTEN to the mainstream financial press that is populated by those that never put a penny of their own money on the line or feature commentary from guests that are nothing more than sales men pushing a product of some sort. Price Extremes are when it is time for the manipulators to start offloading holdings onto the suckers who pile into the markets just before the trends are about to end as the mainstream press by now has become euphoric on a market that it had been skeptical on for many years when prices were far lower. Such as today's stocks market commentary degenerating into clueless Hindenberg Crash Omens or Euro collapse, or 1930's changing year charts, or the Head and Shoulders pattern with a mutating right shoulder. 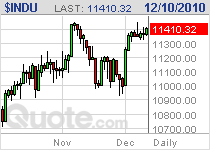 So the fact that the Russian stock market is manipulated is nothing out of the ordinary as ALL markets are manipulated. The below graph illustrates that the Russian stock market is both far more volatile and at the same time far easier to invest in and trade than many other markets as it exhibits clear trend of accumulation into the May 2008 peak, followed by the severe downtrend sparked by the Russia / Georgia war, that started heating up just as the stock market peaked. In terms of where the Russian market stands against other markets, clearly Russian stocks trade as many emerging markets trade as though they are leveraged to global stock trends. Therefore bullish trends are more pronounced and bearish trends more severe. There are a string of russian funds and ETF's out here. My personal long-time favourite vehicle for investing / trading exposure to Russia is via the JP Morgan Russian Investment Trust (JRS) which behaves as though it is leveraged to the already leveraged behaviour of the Russian Stock market index (RTSI) i.e. the gains are greater than the stock indices whilst the risks on the downside are also similarly greater. Conclusion - Whilst investing in Russia is clearly high risk for the potential higher reward. However over the long-run as the above JRS chart illustrates even complete wipeouts on the scale of the 90%+ losses that the banking sector has suffered, can and has resolved in virtually recovering the whole of the decline within 2 years as evidence of the underlying long-run bullish fundamentals at work that will eventual make the price actions such as above invisible in terms of magnitude over the long-run. I see no reason why Russian stock market should not continue to outperform western markets and major emerging markets such as China. Therefore Russia remains a great market for accumulating into especially whenever its Mafia Government embarks upon market crushing (temporarily) military actions, and as with all volatile emerging markets, investors need to ensure that trailing stops are used to protect gains set at levels where the indices or funds such as JRS should not trade for the trend to remain in force, pay particular attention to JRS's stomach churning cliff dive from 840 to 150 as Russian tanks rolled over Georgia. The "Crash JP Morgan, Buy Silver " internet campaign has been gathering momentum for several months now as individual investors increasingly jump upon the rolling bandwagon by buying a few silver coins. The high profile proponents of the campaign include Max Keiser, Mike Maloney and Alex Jones amongst many others. Whilst they are correct in identifying JP Morgan as being the worlds largest market manipulator that continues to leech the life blood out of the US Economy via the corrupt institution that is the U.S. Federal Reserve Bank that literally makes unlimited funds available at JPMorgans disposal. However, the crash JP Morgan proponents have not considered the consequences of crashing JP Morgan which would act as a contagion that could bring about the collapse of the worlds global financial system. The Crash JP Morgan proponents identify the following reasons with the aim of driving Silver to as high as $500 an ounce. 1 – JP Morgan has a huge short position in Silver – estimated to be 3.3 billion ounces – tied to an enormous, extremely precarious $65 trillion derivatives position. 2 – Various exchanges around the world have been caught manipulating the price of Silver using 'naked' short sales i.e., counterfeiting. 3 – Of all the actively traded commodities traded around the world, Silver is one of the least plentiful and its supply is shrinking, but its industrial uses are multiplying. The 'networked' age of global communications is built with Silver. 4 – Hedge funds are taking physical delivery of Silver – adding substantial demand as well as exposing these exchange's naked short positions – who are already scrambling to deliver – jacking prices up to multi-decade highs – and inspiring these predatory funds to buy more Silver. 5 – There are billions of people around the world who are aware that banks have been committing fraud and embezzlement who are upset that their politicians seem only interested in helping the banks commit more fraud – who are looking for a cheap way to non-aggressively fight back and decapitalize these banks. 6 – Many of these people have the access and wherewithal to purchase 1 ounce of Silver – thus removing hundreds of millions of ounces of Silver from the 'paper' market – forcing additional scrambling by dealers to fill orders by buying back short positions – inspiring the funds to buy and take physical delivery of even more Silver – creating a colossal short squeeze – in which JP Morgan stands to be the biggest loser. 7 – Buying Silver is how the world is monetizing its anger at the banks who stole their wealth. The crash JP Morgan proponents identify JP Morgan as having some $1.5 trillion in derivatives tied to their silver short position alone, as part of an estimated $70 trillion of derivatives exposure, which is larger than the size of the global economy and 5 times the size of the U.S. Economy. If the financial markets ever thought JP Morgan was at any risk of defaulting on any of its derivatives positions then there would be a run on JP Morgan Lehman's style. Unfortunately to bailout JP Morgan, the cost to prevent a run on the U.S. Financial system that could within hours collapse the whole global financial system would make Novembers QE2 look like chicken feed. The print run would run into the trillions if not the tens of trillions as counter parties to JP Morgan's derivatives panicked. What would be the consequences of a flood of Perhaps $10 trillion Bailout Dollars ? Loss of confidence in the U.S. Dollar resulting in a collapse of value triggering an Hyperinflation panic event as dollars were dumped for any commodity or resource so as to prevent purchasing power wipeout, sending interest rates soaring and bringing world trade to an abrupt halt that would risk the collapse of civilisation as we know it today, with financial armageddon eventually resulting in actual real world armageddon much as Europe Experienced Armageddon from September 1939 to 1945, but this time with tens of thousands of hot nukes thrown into the chaos equation. So yes, Crashing JP Morgan may result in Silver hitting $500, BUT without food, energy and chaos in the streets with a high risk of eventual global nuclear conflict, holders of silver coins may wish they could turn back the clock and instead campaigned for Crash Silver, Buy JP Morgan and Prevent Financial Armageddon! The Silver prices has soared by nearly 60% in 3 months, which means that the of quoted JP Morgan Silver short position of $1.5 trillion would have grown to $2.5 trillion as a consequence of adverse price movement. Bank runs, panics, bankruptcies and collapses first manifest themselves in the stock prices, long before they become headline news in the mainstream press. The JP Morgan stock price is NOT behaving as though it is heading for an imminent collapse. In fact whilst the silver price has roared ahead JPM has been range bound with an upward bias, and the most recent price activity towards the upper end of the range is not exactly evidence of a stock price that is under distress due to a crippling short position being squeezed by speculators. The trend during the past few months is clearly corrective which therefore favours an upside breakout which may be imminent, and then what for the JPM Crash proponents and the silver price ? This to me suggests that the oft quoted JP Morgan silver short position is far smaller than $1.5 trillion, as probably JP Morgan has been covering its silver shorts for many months. In fact the rise over the past 3 months is probably more due to JP Morgan short covering than the impact of the Crash JP Morgan campaign buying. This also suggests that whilst on going short covering should result in an upward trend for silver, however the JPM master market manipulators will also ensure that they periodically hit speculators and hedge funds hard if they try to take advantage of JPM short covering by SELLING silver hard to run the stops. Silver has always been very volatile, so investors / traders need to be very nimble footed to ensure that they do not give up their gains, as at the end of the day the only thing that counts is banked profits. Now don't get me wrong, I am not anti the campaign as probably in reality it has only had a marginal impact on the silver price, I am just highlighting the consequences of what actually crashing JP Morgan would probably be, in that JPM would take the global financial system down with it. What a difference a couple of weeks make, the Dow closed at 11,410 leaving most analysts to yet again flip flop between being bearish to bullish as they react after the fact. With those of a perma-view continually suggesting shorting this rally for the past 400 points and will likely continue to do so all the way to Dow 12k, which gives the game away that they in fact whilst advising others, clearly do not trade themselves so can blather on and on with nonsense that would have long since bankrupted those that actually trade. The Dow deviation from the forecast trend stands at about +200 points (1.7%) from the last in depth analysis (18 Oct 2010 - Stocks Stealth Bull Market Dow Trend Forecast into Jan 2011 ). Therefore the market continues to show relative strength with Friday's bullish momentum likely to continue early week to target a break of the bull market peak of 11,451 (The S&P has already made a new bull market high). The larger picture is for the Dow to oscillate around the forecast trend path towards a mid January 2011 target of Dow 12,000, so price over extension here 'should' resolve in a swift correction back to the trend path (currently 11,200). 2009 - Was the year for the birth of the stocks stealth bull market that saw stocks soar into year end from the March 2009 Lows (15 Mar 2009 - Stealth Bull Market Follows Stocks Bear Market Bottom at Dow 6,470 ). 2010 - Is turning out to be the year of consolidation with an upward bias, which has repeatedly given the bears plenty of rope to hang themselves with. The trend expectation is more or less turning out to be in line with my original expectations (02 Feb 2010 - Stocks Stealth Bull Market Trend Forecast For 2010 ). 2011 - The big picture is that of a multi-year stocks bull market that will complete its second full year in March 2011. The starting point for 2011 would be for this years percentage move plus 5%, so if the Dow ends the year up 10% then that would convert to a minimum 2011 target of 13,400, which would be within 700 points (5%) of the Dow's all time high that would be achievable during a strong 2011 bull run (note this is not a forecast as it is not based on in-depth analysis which is due by mid Jan 2011). So I will leave to those that don't trade to continue calling for for the end of the stocks bull market all the way into the Mid Jan 2011 peak, with the final fifth wave garbage, perhaps another hindenberg crash omen to be conjured out of the hat AFTER stocks have fallen. The U.S. Continues to print money to inflate the whole world as China's inflation rate soars to above 5% to now stand at CPI 5.1%, back in August China CPI was at 3.3% when deflationistas were pointing at surging bond prices to support their perma deflation nonsense (See 26 Aug 2010 - Deflation Delusion Continues as Economies Trend Towards High Inflation), just as the bond bubble was about to burst. The 30 year treasury bond market graph shows a clear long-term uptrend punctuated by several speculative spikes higher amidst's a so called dash for safety during 2008 and at the present time though there is no Lehman style crisis on the horizon, that just as 2008 resolved towards a swift plunge back towards the long-term trendline so will the current bond market rally just as the mainstream media becomes most vocal in its commentary for bonds being a safe haven destination for investors. If the 20 year bull market trend pattern persists then further upside is limited in favour of a trend that targets a move to $USB 120 to 115 over the next 9 months. So those that have bought during the past 6 months are going to be sitting on losses in about 6 months time. US Bonds have since collapsed from $138 to $123. My next in depth analysis will look at the prospects for interest rates during 2011. To ensure you receive my in depth analysis and forecasts in your email in box subscribe to my ALWAYS FREE Newsletter.